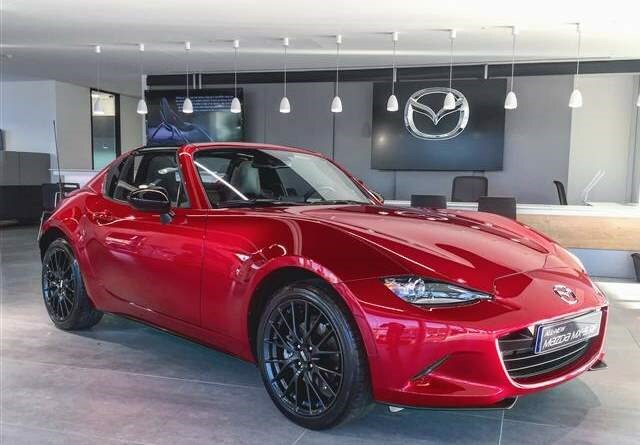 For the first time in the model’s history, Mazda has given its MX-5 sports car a fully-automatic hard-top folding roof. Christened the RF – for Retractable Fastback – it’s due to go on sale in the UK in spring 2017. The previous-generation folding-hardtop Mazda MX-5 was hugely popular in the UK – responsible for 80% of the model’s overall sales. The Japanese brand has tweaked the design for this latest iteration, creating a fully automatic electric roof which can be lowered and put back in place at the touch of a button; on its predecessor, the driver had to manually unclip the roof. 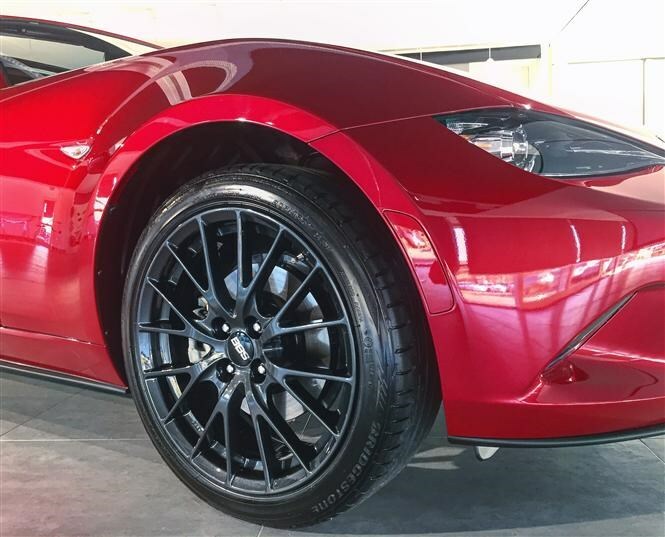 With this latest car, Mazda promises a significantly quieter cabin thanks to improved sound insulation, plus the suspension and electric power steering have been tuned specifically for the Retractable Fastback bodystyle. Mazda has made both of the regular MX-5 engines available with the new RF. This means drivers can spec either the 131hp 1.5-litre powerplant or the more powerful 160hp 2.0-litre. There’s no word yet on performance figures - the RF’s folding hardtop is expected to attract a 50kg weight penalty over the soft-top - but expect them to be broadly similar to the standard car. That means 0-62mph in around 8.3 seconds and combined fuel economy of close to 47mpg for the 1.5-litre engine. Upgrade to the 2.0-litre, and, as well as gaining a limited slip differential and Piano Black door mirrors, 0-62mph should drop to around 7.3 seconds, while combined fuel economy will likely hover around the 41mpg mark. Those who prefer the car to change gear for them will rejoice at the option of an automatic gearbox in the 2.0-litre RF. Making its debut in the fourth-generation MX-5, official figures for the auto option are expected to be released closer to the car’s launch in spring 2017. 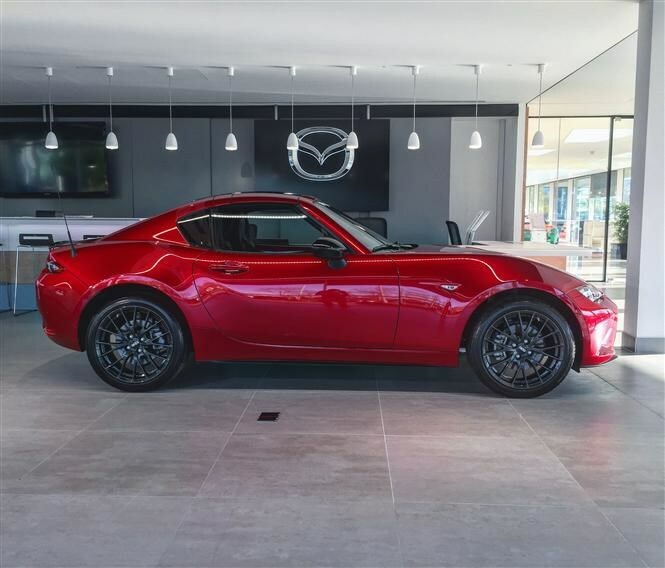 The MX-5 RF will be available in SE-L Nav, Sport Nav, Sport Nav Auto and Launch Edition trim levels, with all derivatives coming standard with sat-nav, Bluetooth phone compatibility and DAB digital radio. 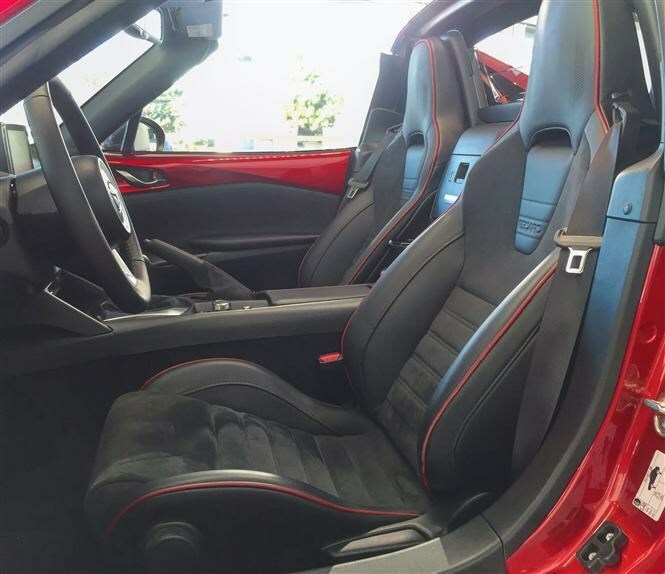 Only 500 Launch Edition cars will be sold, with each one benefiting from a twin-tone roof, BBS alloy wheels, black door mirrors, black rear spoiler, safety pack and Alcantara Recaro seats as standard. The base 1.5-litre SE-L Nav car will be priced at £22,195, while the top-spec Launch Edition model will go on sale at a fiver short of £29,000. The automatic 160hp Sport Nav Auto MX-5 RF is set to cost from £27,095. 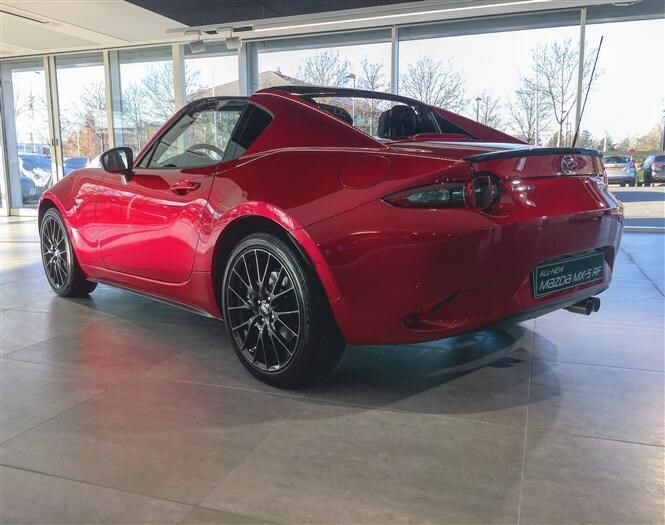 A number of options are available to personalise your hard-top MX-5, including pearlescent paint, Nappa leather trim and the Safety Pack (featuring automatic high beam headlights, Blind Spot Monitoring and a pre-collision warning if you’re reversing out of a car park space).